Built to product standard BS EN12101-8 and is classified for multi-compartment applications. With its C₁₀₀₀₀ Cycle classification it can be used in combined smoke control and environmental systems. 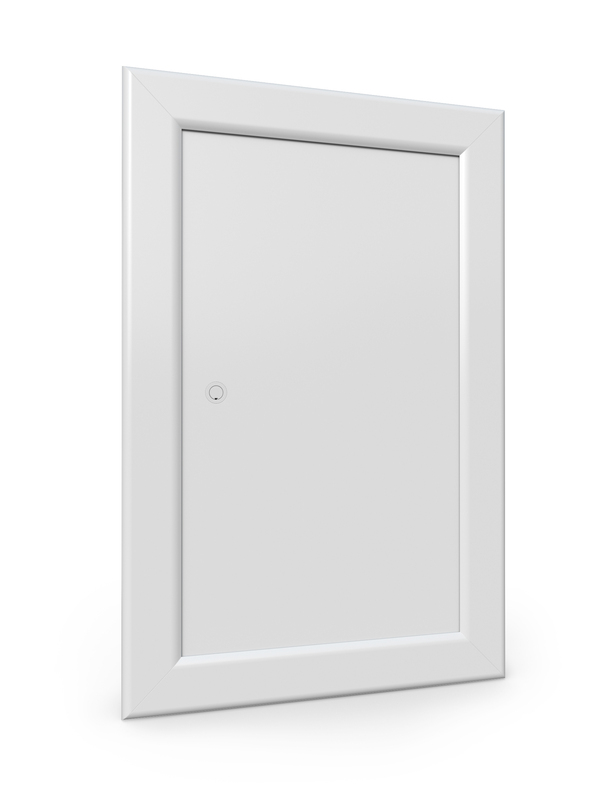 Available in ready finished (white PPC or anodised aluminium) or primed for on-site decoration. Avantage is a 1 and 2 hour fire resistant AOV smoke control damper which is suitable for multi-compartment applications of smoke control such as lobby to smoke shaft ventilators. It is completed with a decorative silver anodised aluminium grille on the front. 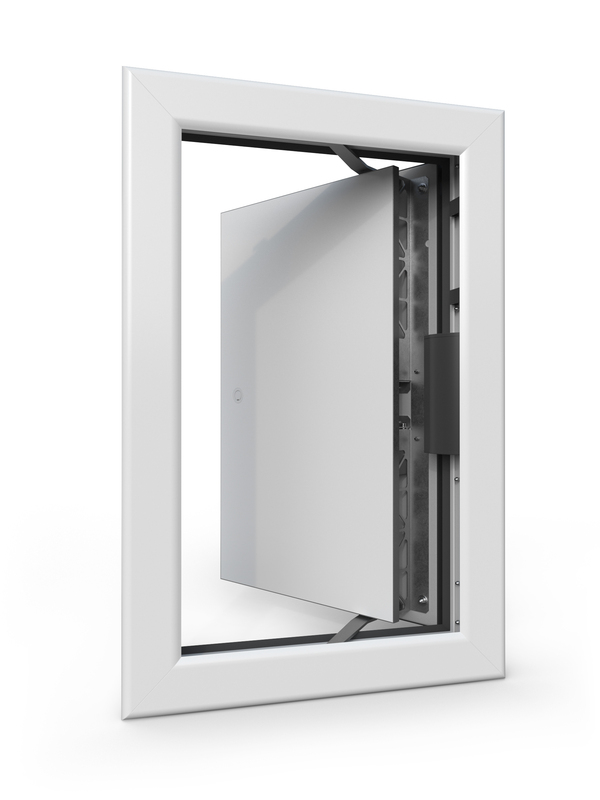 VU120 is a 2 hour fire resistant damper that is suitable for lobby to shaft application. The VU120 has a simple flat finish on the shaft side and a PG30 flange on the mechanism side for duct connection. 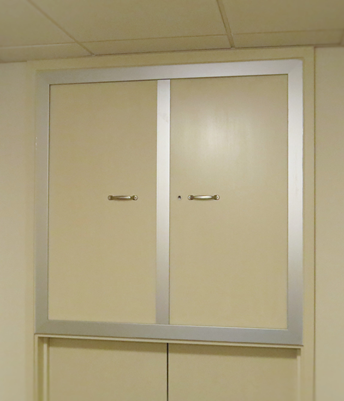 Kamouflage AOV smoke control damper is truly unique in its ability to be disguised within the compartment walls of common areas. Its outer face consists of a plasterboard panel enabling finishes to be applied to match adjacent wall finish, colour and texture. VU90-HOT is a smoke damper with a HOT 400/30 classification and fire resistance up to 90 minutes. whether for natural or mechanical smoke control systems. With the implementation of the construction products regulation in July 2013 all construction products covered by a harmonised European standard must bear a genuine CE mark. 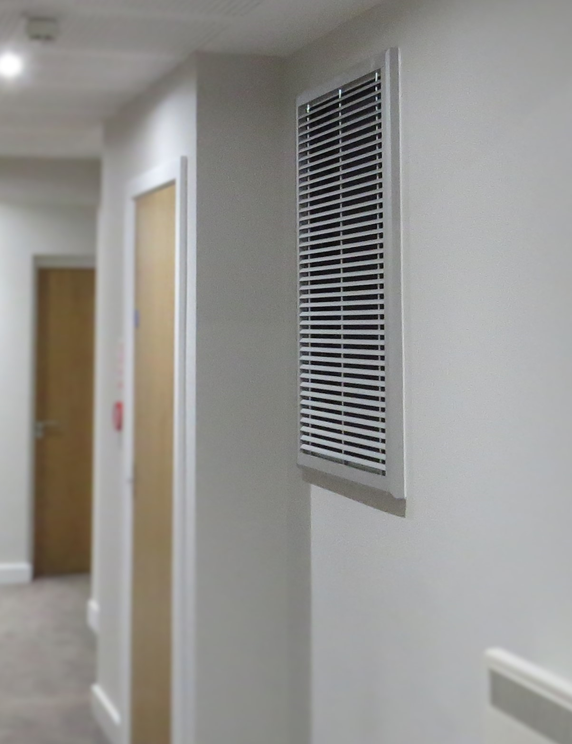 To satisfy the prerequisites of CE marking Smoke Control dampers must be tested and certified in accordance with British standard BS EN12101-8. This entails the products undergoing new fire tests according to British standard BS EN1366-10 as well as durability tests including response time and reliability of mechanical operation. One important test of the standard is the smoke leakage. The Avantage and Kamouflage smoke control dampers were tested and rated at the highest pressure levels of 1500 Pa ambient and 500 Pa during fire testing which illustrate the products superior air tightness and fire resistance. Both the Avantage and Kamouflage products offer fire resistance of 60 and 120 minutes and ensure minimum pressure loss. Please note that the test standard required by BS EN 12101-8 product standard is BS EN 1366-10. NOT to be confused with test standard EN 1366-2, which is a test standard for metalfire dampers.